Tagged by Victoria, who may remember in future to be careful what she wishes for. Here are the rules, and if you don’t follow them, someone uproots all your favorite plants and lays them out on your grass to form the words, "Ha, Ha!" * Link to the person who tagged you. * Post the rules on the blog. * Write six random things about yourself. * Tag six people at the end of your post. * Let each person know they have been tagged by leaving a comment on their blog. * Let the tagger know when your entry is up. 1) I’ve had fifteen surgeries, including three rotator-cuff surgeries (meaning more shoulder surgeries than I’ve got shoulders), but I’m still digging. Most surgeries were arthritis-related; a couple did result from the injuries people seem to assume I must court. Here in Bozeman, a town full of climbers and skiers, several surgeries is par for the course and there are parties where you have to show your ACL scars to gain admittance. Still, it’s true that I have racked up rather an impressive total even for this region. I’ve also taken a personal vow to haul off and punch the next person who suggests that this is something I am "doing to myself," even if the result is another shoulder surgery. When I was twelve, we moved from New York City to Toronto, and from a progressive private school without grades where many teachers were known by nicknames to a fairly authoritarian public system where grades were reported as percentages (there was actually a difference between an 82 and an 83), people cared about (and frequently deplored) my handwriting, and we were expected to call our male teachers “Sir.” In some classes we could choose seats, but some teachers seated us alphabetically, some by gender, and a couple according to our scores on the last test—a practice I thought then and think now to be barbaric. All this was made even more unbearable by the fact that in Ontario, kids headed for university had to go through thirteen grades. High school is generally considered a pretty miserable experience anyway, but to go for a whole extra year—yowzers. None of us lasted. My older sister quit, my younger sister finished at a boarding school in the States, and I narrowly avoided a nervous breakdown by applying to a new, experimental free school that was actually going to be funded by the Board of Education, which would provide teachers in core subjects so that anyone inclined to graduate in a normal fashion could do so. Instead of going to grade 13, I took the SATs, wrote a three-page essay explaining why my high school record looked so weird and why I hadn’t actually graduated, and went off to college in the States. The school that saved me from a nervous breakdown was called, heaven help us all, Shared Experience, Exploration, and Discovery (it was 1970, and it showed), so along with everything else I got out of the experience (and the exploration and the discovery), I had the unmitigated pleasure of telling people that I was going to SEED. 3) My husband and I have never bought a new piece of furniture. Now, just so none of you try to sue me later for false advertizing, I’ll tell you upfront that there are three potential exceptions: a cheap wooden cart under the T.V. that was new once, a small, cheap computer table in a corner upstairs, and a low set of shelves in the kitchen for cookbooks and the microwave. I say "potential" because those hardly qualify as furniture. Not one couch, chair, coffee table, dining room table, bed, piano, chest of drawers, or bookcase was bought new. Most of the bookcases Steve made; everything else we either bought second-hand or acquired from relatives as they emptied their houses. It’s a great collection of older pieces, each with a real history. 4) I have had some really odd job interviews. 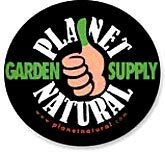 The one for Planet Natural, the mail-order organic gardening store for which I write web articles did not, strictly speaking, ever take place, but I posted about it anyway. That is the one time that my potential employer never even asked for a résumé, so by some measures that has got to be the oddest ever. But there have been some close seconds. One took place in Japan, where the headmaster of my sons’ international school held a meeting to hear concerns from parents, and no one showed up except me. As he put it later, it started out as a meeting and sort of segued into a job interview. I had plenty to say, of course, especially about how my older son was being “taught” English that year when he was in ninth grade. It wasn’t that the teacher was bad so much as that he simply wasn’t there, since he was scheduled to teach two classes at the same time (?!!?**? ), one in geography and one in English. He coped with this impossible situation by teaching the geography class and having students read stories and take tests on them for the English class. My son coped by refusing to take yet another test, somewhere about March, which seemed to me an eminently sensible reaction. So when I went to the parents’ meeting a few weeks later, I was stoked. It turned out that the school was about to have its largest senior class ever—eight people!—and the headmaster, who wanted them ready to do university level writing, pricked up his ears when he learned that I’d taught both high school and college English. I walked in a disgruntled parent and left a satisfied employee. Another interview years earlier was at least as odd—even odder, in some senses, because it was a formal, scheduled meeting for which I journeyed hundreds of miles, yet which proceeded in a manner bearing little resemblance to any interviews I’d had or had heard of. This was a year after I graduated from college, when I traveled from a private high school in Massachusetts, where I’d had a one-year appointment, all the way to the SAT testing center on the Princeton University campus in New Jersey to interview for a job at The Thacher School, in California. The man who conducted the interview didn’t belong in that very Eastern, paneled room; he was too big, and so was his voice, which practically shook the chandeliers and rattled the oak table. I’d been interested in this particular school partly because it had horses and sent out groups on multi-day back-pack and horse trips, and as soon as Jack Hyler learned that I even liked horses, much had ever sat on one, much less that I liked camping, that was all he wanted to talk about. The school, all-male for close on a century, was just going co-ed, and they needed outdoorsey female faculty really, really badly. I always liked my name; it was just a bonus, years later, to discover that more than one of Shakespeare’s strong women were named Kate—and they weren’t all shrews. I wished my name were “plain Kate;” after all, my father’s older sister had named her daughter Jenny, not Jennifer. That choice led to endless arguments and explanations, starting with the one at the hospital over the birth certificate, but this fact did not discourage me: I liked to argue. As far as I could see, “Catherine” existed solely as a name my mother could use when she was mad. Which did make it useful: when I heard her voice call “Catherine!” on a rising tone, I was forewarned. As for me, aside from an adolescent flirtation with “Katey” (yes, that’s how I insisted it be spelled), I have remained plain Kate and glad of it. 6) I met my husband when he was seventeen and I was eighteen, in our first week at college. It was a freshman seminar titled “Should I be rational?” I was against it. 2) Breanne at Gardening Adventures from the North, because she’s got the best raised beds ever for her vegies, grows lovely flowers, gardens intrepidly almost as far north as anyone I know, and gives vent from time to time to a good healthy environmental rant in which she has the good sense to link to one of my posts. 3) Plants are the Strangest People, because this guy, who is probably tending plants as I type, unless he is writing about tending plants, is funnier than imaginable even when he’s talking about a visit to the emergency room or about exotic equatorial plants in which I have no interest whatsoever until he talks about them. 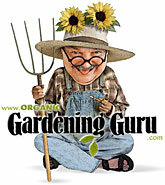 4) Sunita, whose blog The Urban Gardener, has some lovely, lyrical prose, and whose life in northern India is so far away from mine that I want to know more about it and about her. I do know that she likes pine cones. 5) Stuart, founder of Blotanical, at Gardening Tips ‘n’ Ideas because I think it’s time he stopped freeloading and did a bit of work around here. He’s been tagged before, but not for a year, and since in that post he confessed to wishing he could garden naked, (a wish I share–for myself, that is) I’d love to see what he comes up with this time. 6) And last, Blackhearted James, who brags of Blogging at Blackpitts Garden, because after all a girl has a right to know something about a fellow who calls her "the scarlet varlet Kate," dash it all, doesn’t she? (Of course, a woman over fifty can probably be hung for calling herself a girl, but let’s not go there.) As far as I can tell he hasn’t been tagged, though it’s hard to scan his posts very far back even on a feed read, and since he goes in for post titles like "All day he whittled ergonomic clothes pegs from ash trunks" and "Historically, grasshoppers were lousy sailors," and even, god help us, "A Preternatural Doughnut," I doubt he’d do us the favor of putting anything as obvious as "tagged" in the title. If anyone doesn’t want to do this, I think they should just let it go, and the guilt with it. I promise my second time round will be shorter. 13 Responses to Tagged by Victoria, who may remember in future to be careful what she wishes for. Kate — it was absolutely fascinating reading this post — I couldn’t put the laptop down. I agree completely about Grade 13 in Ontario — torture! Torture, I say. They finally abolished it a few years ago. Hi Kate – absolutely wonderful stuff. And I’m happy if you ignore my tag – you’ve done enough for about 10 of them here! Your ‘unconventional’ education tales made me laugh. I spent most of Junior school (age 7-11) doing anything other than lessons – my own projects about anything and everything I was inetrested in, hearing other kids read or do their maths, clearing out stockrooms, taking ill kids home, counting up the tuck shop money every Friday afternoon etc. It was a real shock to the system when I reached senior (High) school and I had to sit and do ‘normal’ lessons like everyone else. I don’t think I ever recovered! What can I do with this info? Hmmm. Something. I’ll think of SOMETHING…. All right, people, ALL RIGHT; I know you all think I run on at the mouth and that I’m incapable of turning down a tangent or even ending a sentence, but you’re wrong on all counts as you’d realize if you saw the reams of stuff I DIDN’T include, including the inside story about how we (we being my husband and me) got called in for a consultation after our son didn’t write that test and all the other insane stuff that was going on around the time I didn’t have the nervous breakdown and how mad it made me that no one else (except maybe the guys in the back row) had any problem with teachers’ seating people by their score on the latest test, but fine, I’m sure you think you’ll live a perfectly happy life without all that, and if that’s the way you feel, well, I just won’t mention any of it, so there. Actually, I wanted to tag Soilman, the master of the short, pithy post, but he’s just been tagged, so I took pity and refrained. I thought his style would be a relief after mine. Hey–thanks for sticking it to the end. As for you, Benjamin–take care. Zoe has promised to keep me supplied with gladioli for dueling purposes. Gee when I was tagged a while back, I wrote paragraphs and thought it strange, because everyone else wrote sentences. You however wrote a book. So I’ve been outdone. BTW my best friend is the same as you. She has all these degrees, but never a high school diploma. Though She didn’t do it to escape the dreaded 13th grade, since she is from the US. She went to college after 11th grade. Wow—I did not realize you were the Kate that James at Blackpitts was feuding with! I came to his place in mid fight and had no clue what was going on and I had a bit of a problem with it–decided I would stay in my own corner till ya’ll kissed and made up—but now I see you’ve got an ongoing relationship. I’ve always found your writing clever and entertaining. I’ve been gone for awhile fighting off burglers, building a house, and selling a previous one. It’s good to be back but boy has the face of blotanical changed. I’m amused. I enjoyed this thorough glimpse into your past and equally exciting present. It’s a wonder you didn’t turn out looney the way you got treated as a kid in school. I felt for you there. But you took that as a learning experience and fought your way out. Bravo! Never in a million years can I be as witty as yourself or those you have chosen to tell about themselves. It will be very entertaining to see what they come up with. Your welcome, James. I think. Outdone, Daphne? Others may disagree, feeling instead that I have overdone it. In my defense, let me say that the first tag post I saw was by someone who wrote at length and quite amusingly about previous jobs and a variety of unlikely and offbeat things. That was my first and formative tag post, and n’er shall its influence lift its heavy hand from my heart. Yes, Anna, ’twas I, though being known as “the Kate who–” whatever is a bit odd somehow. Sorry the exchange put you off; that wasn’t the intention. But as for not turning out looney–please don’t bring my children into this discussion, okay? My husband and James may be somewhat surprised to hear that James and I are in “an ongoing relationship,” but your statement merely brings out into the open what my mother has suspected all along. I do hope I’m still capable of forming friendships (and more) with people I meet face to face, but perhaps I flatter myself. Do you know your Dave Barry? He cautions women to remind their mates of twenty years and more that they’re in a relationship. Maybe the new version would be “Inasmuch as we have been exchanging insulting e-mails for at least two weeks and are therefore in a relationship…” What a world. But–burglers, Anna? Good heavens! I hope they were in the house you sold, not the one you’re moving into. Sounds like a too-busy, too-exciting time. A little bland blogging might be a welcome change of pace. The burglers were at my new house and it was two attempted break-ins. One while we were away and one with us home. I have several French doors to replace. They broke the bottom locks but the dead bolts held. You can see the pry bar impressions on the door. Yea, Schlage Locks!! They haven’t been caught. Maybe relationship was the wrong choice of words on my part. I apologize and was trying to be funny. I’d be rich if I could have a dollar for every time I put my foot in my mouth. Wow, Kate–a slow day at work means far too much time wasted on Google, but I’m glad to hear I’m in such good company never having graduated from high school! In my case I ran out of room in my 12th grade schedule to fit in the required semester of Health, and I wanted to take Latin and chemistry (very much not required) more, so that was that… needless to say, my parents/guidance counselor/the school board member who lived down the street were not very happy about it. I figured that Chicago wouldn’t care, though it later turned out they had no idea that I hadn’t graduated. So it goes.